Developed originally from larger Spitz breeds, the Pomeranian was bred to his smaller size in the Pomerania region of today’s Germany/Poland. Spitz breeds typically have a long, dense coat and usually pointed ears and muzzles. Unlike his working Spitz forefathers who hunted, herded and pulled sleds, the Pom was developed for companionship, often basking in the arms of royalty. Queen Victoria had a Pom named Marco from Italy, and her love for Poms contributed to the breed’s popularity. Since the queen had an especially little Pom, the smaller variety became widespread. Two Pomeranians. Photography by Dixi/THINKSTOCK. Perhaps the historical association with larger breeds explains some of the Pom’s bravery and self-confidence today. The Pom doesn’t look for trouble, nor does he turn tail and run when he finds it. Faithful companions, Pomeranians are ready for action, preferably with their families. Although affectionate, Poms aren’t typically insecure or overly demanding. To the contrary, many seem to believe they’re invincible. Their inquisitiveness is equally boundless. The agile and lively Pom also may climb amazingly well; families need to build high fences to safely contain them. City dwellers can easily accommodate a Pom, as long as he’s exercised frequently and stimulated with activities. Many Poms love agility and rally. And since Poms love people and are often overflowing with a positive personality, they make delightful therapy dogs. Can Pomeranians Live with Other Pets and Children? Characteristically friendly with other animals, Poms usually do well in households with other dogs — and cats, too — if raised together. Although Poms are great friends for older, respectful children, they may not relish playtimes with rough-and-tumble little children. The breed, like many other breeds, may defend himself if mistreated, so always supervise both child and Pom. A Pomeranian relaxes on pillows. Photography by Koldunov/THINKSTOCK. Coat care: The Pomeranian’s coat needs only weekly brushing and perhaps a monthly bath. Regular shedding: Shedding is the healthy, natural process that keeps the Pom’s coat fresh and renewed. The Pom, however, isn’t by definition a “heavy shedder” throughout the year. Blowing coat: When Poms blow their coats several times a year, owners will need to get out the brush more often if not daily. Puppy uglies: In the time between the puppy coat and the adult coat, the Pom goes through the “puppy uglies,” losing his puppy coat and developing his adult coat in stages. Sometimes the adult hair comes in first on the face, giving the pup a monkey face. Colors: Many patterns, colors and variations allowed. 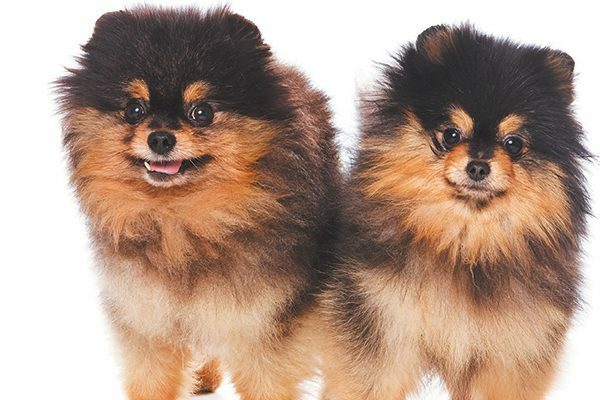 Famous Poms: Two Poms survived the Titanic shipwreck. The dogs’ survival was likely related to size: They were carried by their owners onto lifeboats. One surviving Pom was named Lady, and the other (name unknown) was owned by a New York clothing magnate. Originally an attorney, Lynn Hayner has been writing for companion animal publications for more than 15 years. She researches breed profiles, dabbles in animal law issues and collects stories about dogs and their families in her travels. A lifelong dog aficionado, Lynn is shadowed by her “Who the heck needs a leash, I’ll follow mama anywhere,” German Shepherd Dog, Zoey. Follow Lynn on Twitter at @lynnhayner. 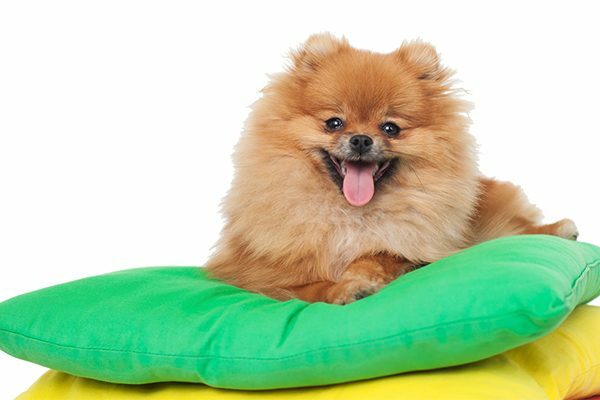 The post What to Know About the Small But Mighty Pomeranian appeared first on Dogster.